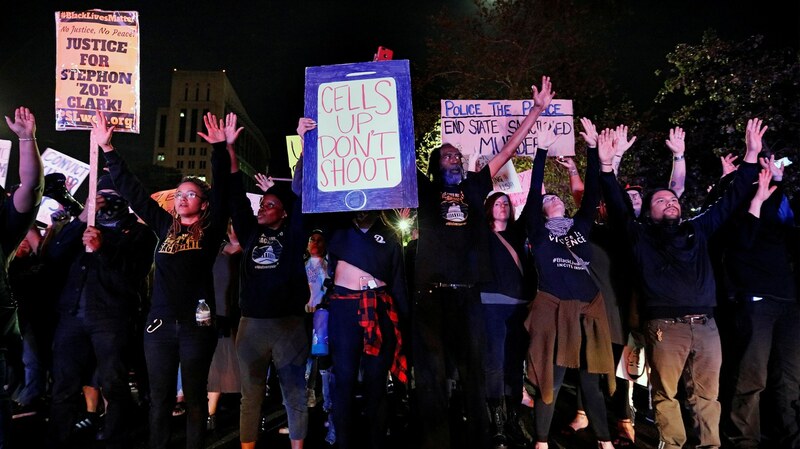 Demonstrators protest the police shooting of Stephon Clark, in Sacramento, California, U.S., March 30, 2018. Credit: REUTERS/Bob Strong. The Sacramento police officers who shot and killed Stephon Clark won’t face criminal charges. Now California’s attorney general has to decide whether to indict them. This shooting has put a new focus on two pieces of legislation in Sacramento aimed at curbing police shootings. The Sacramento police officers who shot and killed Stephon Clark won’t face criminal charges. Now California’s attorney general has to decide whether to indict. There’s a special election on Tuesday for a seat on the LA Unified School Board, the second largest school district in the country.